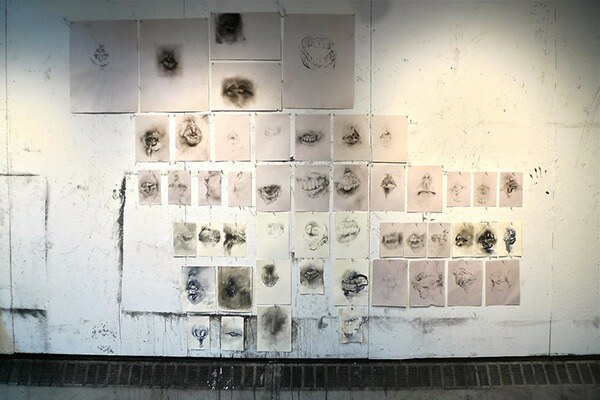 The first set of drawings were completed through visual observation (in a mirror). Drawing by sight requires us to rely solely upon the clues left by light and shadow; we are not intimate with the form itself. 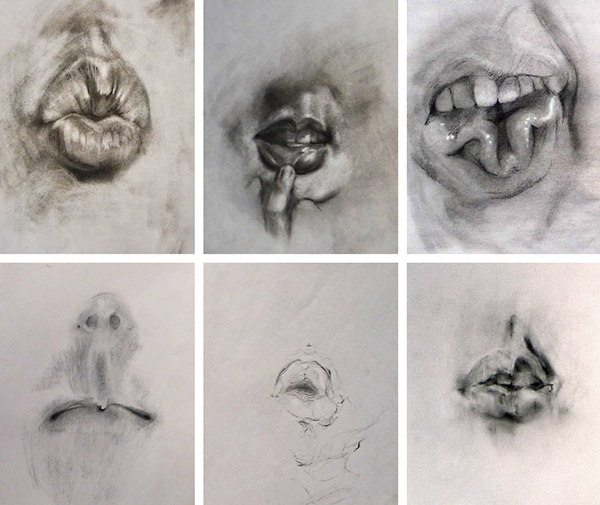 For this reason, I considered visual observation an appropriate method for capturing the lips and other external qualities of my mouth. 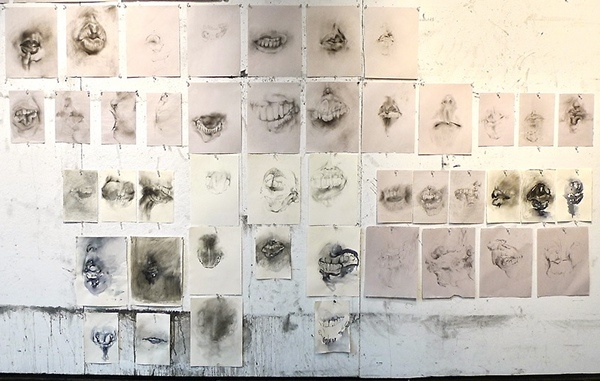 The rest of the drawings in my series were "blind" - completed without picture or mirror reference. 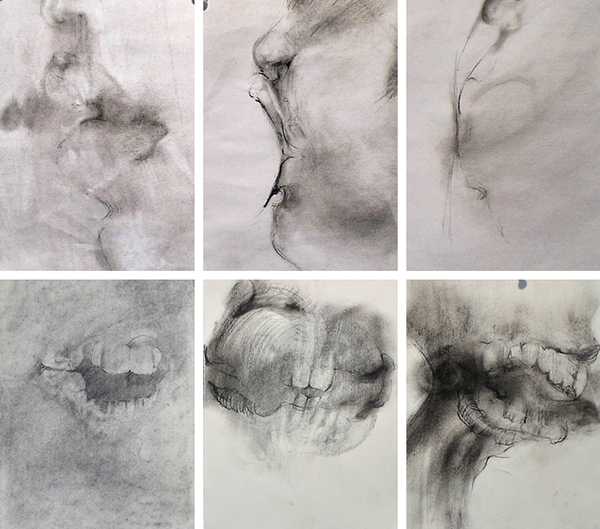 I used both observational touch and mindful awareness of my body in order to create charicatures of the breath and space within the mouth. When drawing from touch, there is no specific visual angle from which it is more correct to draw. I paid more careful attention to the placement of my mind's eye, which could be positioned at 3/4ths, take a profile, or look up from the inside at the roof of my mouth. In the final portraits I continued my departure from visual reference. I drew using the information gathered from my fingertips. 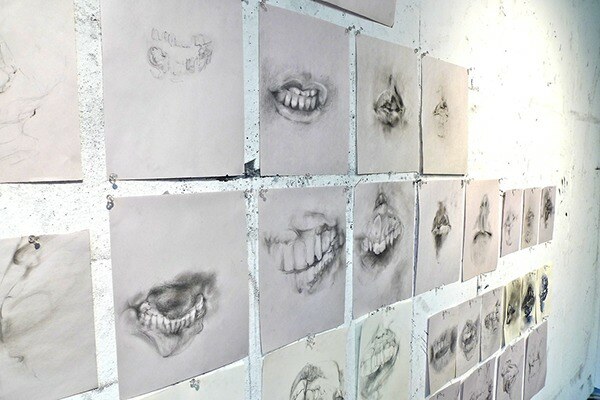 I stretched and touched, exploring my gums, teeth, and jaw for drawings that portrayed the strength, structure and crowdedness of the mouth. 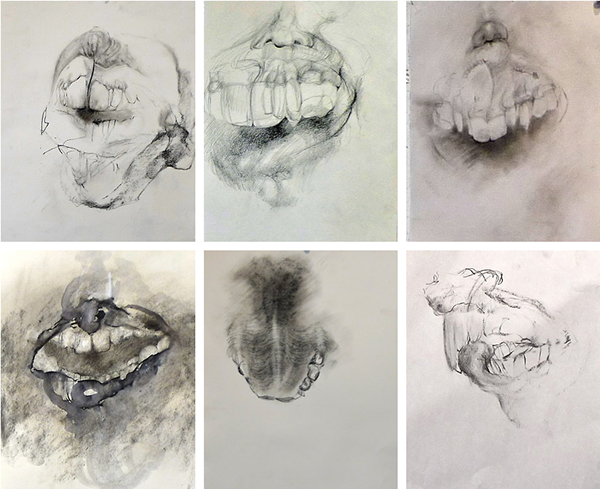 50 portraits of my mouth drawn by sight, touch, and mindful awareness. RISD Spring Foundations. 2013.